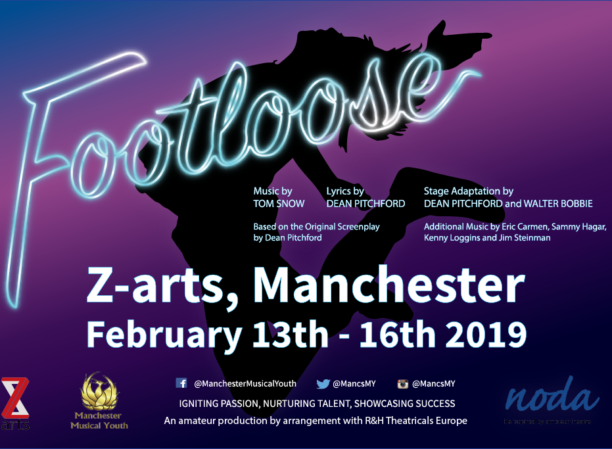 Manchester Musical Youth return to Z-arts after their world premiere performance of Half a Sixpence with the musical adaptation of the 80’s iconic film, Footloose. The heartfelt story that emerges is of a father longing for the son he lost and of a young man aching for the father who walked out on him. To the rockin’ rhythm of its Oscar and Tony-nominated top 40 score, including hits such as Let’s Hear it for the Boy, Holding out for a Hero and Footloose, as well as the introduction of dynamic new songs for the stage musical, Footloose celebrates the wisdom of listening to young people, guiding them with a warm heart and an open mind.